We bring our high quality furs together with supple leather to create a winter accessory of unparalleled quality and luxury. at our workshop in Kiel, Germany, who complete this bag with a soft leather shoulder strap, two exterior pockets, and three interior pockets. Indulge in the wild distinction and pure luxury of a handbag made of 100% authentic Canadian red fox furs. 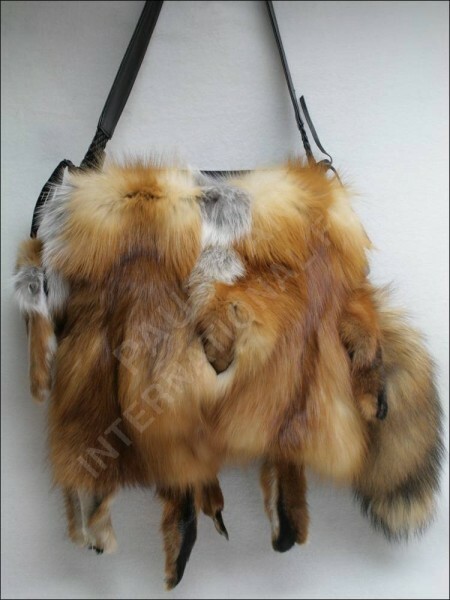 Related links to "Handbag made of Canadian red fox fur"
Customer reviews for "Handbag made of Canadian red fox fur"